TLC Pet Sitting is about the strange and wonderful pets I have the privilege to take care off when their parents go away for a break or on holiday. Good day to you. TrudyVan here from Trudy's Little Critters Pet Sitting. I was so excited. 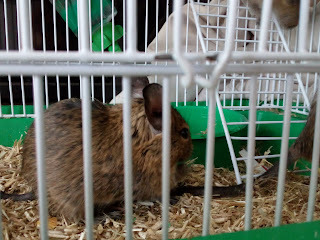 I got to do Pet Sitting for one of my customers that has Degus also known as Goos. The scientific name is Octodon Degus. I really enjoyed the learning experience. If you are willing to put in the effort for the long haul they will make very good pets. I would not recommend them for children under the age of 12 years. Degus can live up to between 8 and 10 years, sometimes longer. They are long term pets. Degus can weigh between 170 grams - 283 grams. They are extremely clever, resourceful, and intelligent and have good memories. They watch where you open up to put in their fresh food and water. Degus are small rodents that come from Chile. In the wild they like to live in communities of between 80 to plus 100 or more. Degus love fresh hay daily and I like to top up in the evening as well for them. They need a lot of space and plenty to chew on. Goos are extremely active and it is a pure delight to watch them. Degus are playful and extremely curious. They need to exercise and a solid steel wheel to run on. No plastic or wood and they will chew them to pieces. They plastic will kill them. 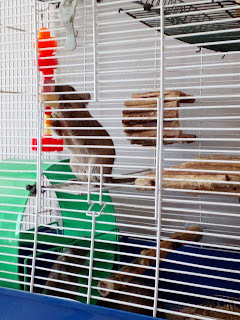 The multi-level cages that are normally built for chinchillas and ferrets are the best for Degus. 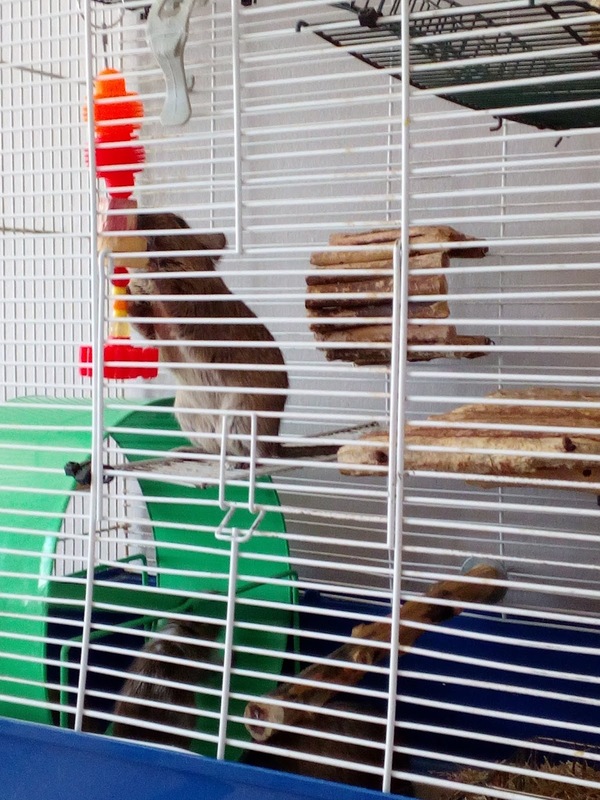 Degus will chew on everything so make sure all ladders; running wheels are wire or metal. Their cages and enclosures must be wire or metal as they will chew through wood or plastic. Climbing ropes work well in their enclosures. Thick branches are fantastic climbing and playing and chewing accessories. Thick branches are also make great play sites for climbing and cotton ropes also work well. You can make goos lovely nesting boxes from wood. They also love to rest on top of their nesting boxes and they like to chew on them as well. Make sure the nesting box is of proper wood and not pressed wood as pressed wood contains glues and chemical that could over time poison you Degus. They love to burrow and store their food and create sleeping nests. They need social interaction with their own kind. They are not loner pets. They tend to become aggressive and depressed on their own. They have been known to just die on their own. They love to rest or sleep next to each other. Degus in the wild are social animals and are Diurnal which means that is they are awake during the day and sleep at night. Goos get to know you and will run to great you when you come near the cage and are always ready to play especially if you have reared them from a small age. Degus have a tail is around 15 cm in length and that looks like a paint brush at the end. NEVER pick up a Degu on its' tail, it will break off and it never grows back, the same as a lizard will lose its tail as an anti- predator mechanism, the Goos do the same. Degus love to chatter to you when they know and trust you. It sounds very similar to a squeaky bath toy. They also love a cuddle and a belly scratch from time to time. To really enjoy your Goos, you need to be around them and talk to them during the day. Degus do well with homes where someone is at home for at least the best part of the day. They have a high pitched screech when they are scared or someone else has taken their food or they are stressed. Degus are herbivores. Degus will hold their food with their fore paws to eat. They need fresh hay daily. You also get a mineral or salt block that is made for rodents and helps with the additional nutrients the Degus need. The Degus diet is very high in roughage's and do not have enough carbohydrates. A great combination for them is a combination of Guinea pig and Chinchilla pellets and the rodent salt and mineral block. Make sure that you have good quality hay available to them at all times. Degus like the following fresh vegetables, Green Beans, Carrots, Sweet potato which is uncooked and peeled. They love leafy greens such as parsley and spinach. You can give them a small amount of the following as a treat. You can give them the following, Sunflower seeds, peanuts and one or two nuts in the shell. You can also offer them dandelion leaves in very small quantities and that are free of any poison spray or insecticides. Degus are prone to Diabetes. Never give them fruits due to the high sugar content. Avoid all foods that may contain molasses, honey and glucose syrup. You can check your degus for signs of diabetes by looking to see if they have fat rolls and cataracts. Do not give them Cabbage, Brussels sprouts, broccoli and kale as their systems do not handle these foods well. Always use a heavy ceramic dish for a water bowl so they cannot chew on it. I find that a water bottle with a metal tube and a chew guard works much better in my experience. Fresh water and fresh must hay must be available all day. Degus have a natural insulin resistance so they can get diabetes if their diet is not correct. Degus can also have overweight problems. That is why a metal running wheel is so important for them. I had three in their enclosure whilst I was looking after them because they tended to fight and all want to run at the same time. 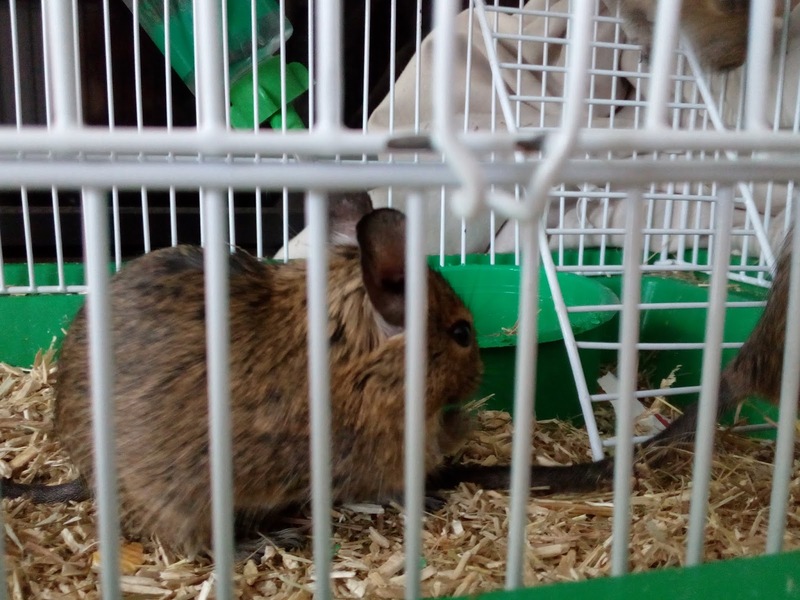 Domestic Degus tend to suffer from dental and mouth diseases. It is of the utmost importance that you make sure they have chewing forage and chewing block. Other signs that you degu might be getting ill is to check for eating difficulties, weepy eyes and pawing. Your degus enclosure should have a solid floor and solid shelves not wire or metal as they tend to get bumble foot. Check for sores and if your degu has developed sores or looks unwell, do not leave it, get your Degus to the vet for urgent antibiotics as soon as possible. A good rule of thumb is to give them a quick once over daily. They also suffer from dry skin and need to have regular dust baths to keep their coat and skin in good condition. I like to give them their dust baths at least twice a week. They have such fun whilst bathing and it is pure bliss to watch them. They can also suffer from respiratory illness. With proper diet, adequate water, sand baths and a daily once over you can prevent most of the common things that could go wrong. They can get injured if there are fights. These are mainly territorial based. This will not happen when your enclosure is big enough for all to move, eat, more than enough nesting spaces and proper a proper diet. You will also have to give your Degus lots of love and attention. Degus also require regular visits to a specialist Vet for Nail trimming and gets a general check over. Make sure your vet is able to care for you Degus and if not find one that is able to. You don’t want to have to run around looking for a vet that is able to help you when you Degus are in distress. 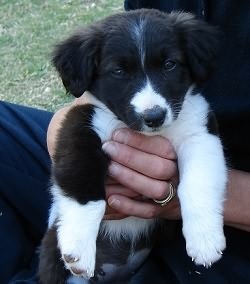 Good day to you and welcome to my Blog: Trudy's Little Critters Pet Sitting blog. I have been caring for pets for just over 9 years now and still loving every moment of it. There many different pets that I have cared for, ranging from Reptiles, birds, snakes, through to the most adorable hedgehogs. Pet sitting has long been a passion of mine. Each pet is unique, like their beloved owners. Each pet has special needs and requirements. I care for the pets in my care, the same as my pets. They become family whilst in my care and I tend to have them year after year. I know the owners personally and I also know their pets. In this blog I will be sharing my experiences with you. If you have any suggestions or queries please leave a comment. I do believe that we can always learn something new and interesting about other people's experience with pets. I have a lot of e-books that I will be posting here for you over time. We are based in Randburg, Gauteng, South Africa.